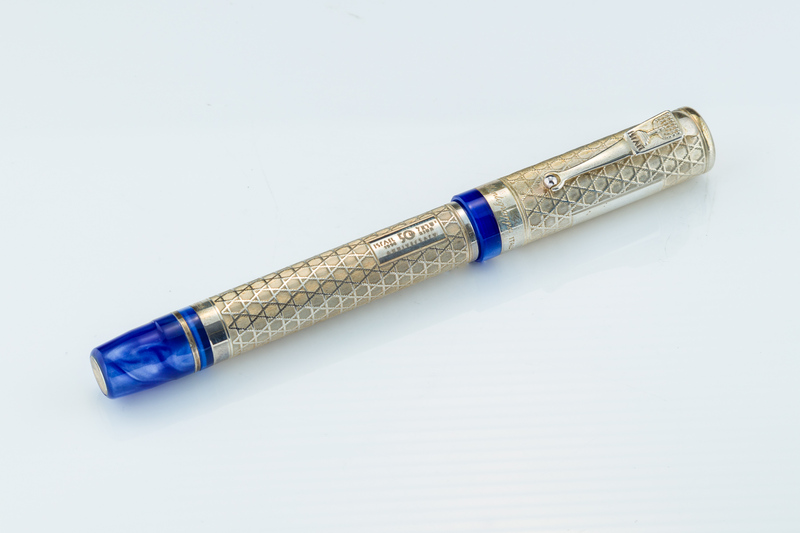 A limited edition israel 50th anniversary sterling silver pen by montegrappa. This rollerball style pen features star of david patterned cap and body tubes made of sterling silver, with marbled blue plastic accents and a chrome nib. It is presented with a wooden case, a microfiber wipe, and a certificate of authenticity in its original box.